I have always loved making list. I find it strangely soothing to make them. 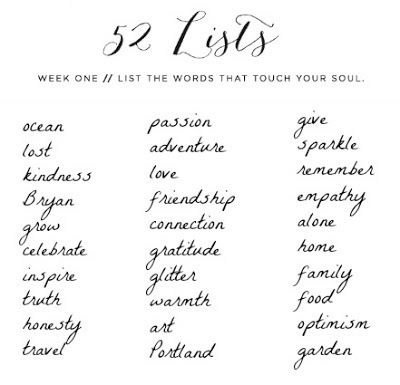 It's like the simplest form of journaling and it helps me find focus. 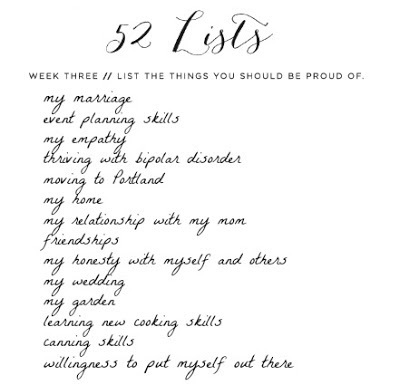 I came across the 52 Lists Project & it sounds like the perfect reason for me to indunge in my love, so I will be taking the challenge to try to keep up. I am a little behind, so I am catching up a bit! What wonderful travels you have planned for your future! You will love swimming with dolphins - it is awesome. I just joined the 52 Lists project this week. 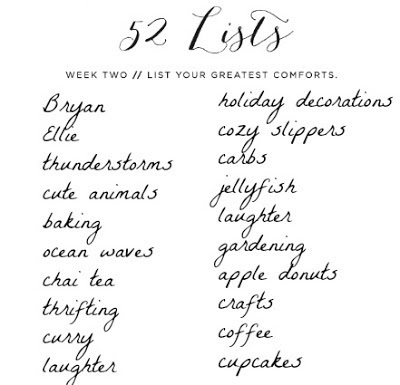 I love your lists! 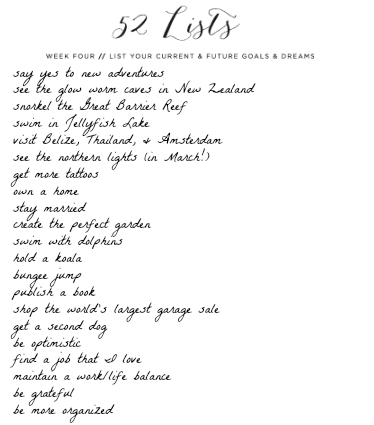 You have so many adventures planned, I hope you blog about them so we can follow along!